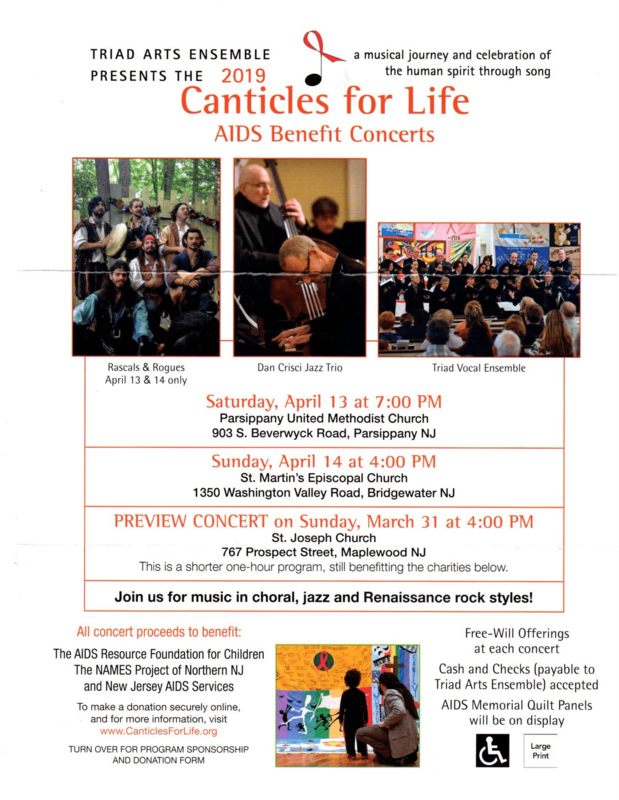 Saturday, April 13th at 7 p.m. we are privileged to host the Canticles for Life concert. Three great musical offerings. Admission is free; there will be a free will offering to support ministries in New Jersey that help persons living with HIV/AIDS.